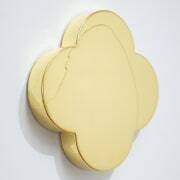 The documentary, Max Gimblett: Original Mind, will feature in this year’s DocEdge Festival. The film documents the life and process of the creative genius Max Gimblett, and provides a fascinating insight into his artistic practice. Two screening will take place in Wellington: Friday 19 May at 6:30pm and Sunday 21 May at 8:15pm; and Auckland: 2 June at 6:45pm and Sunday 4 June at 8:45pm. To book tickets, please visit DocEdge Festival’s website here.